On Saturday 13th April 2013, I gave my first TEDx talk. 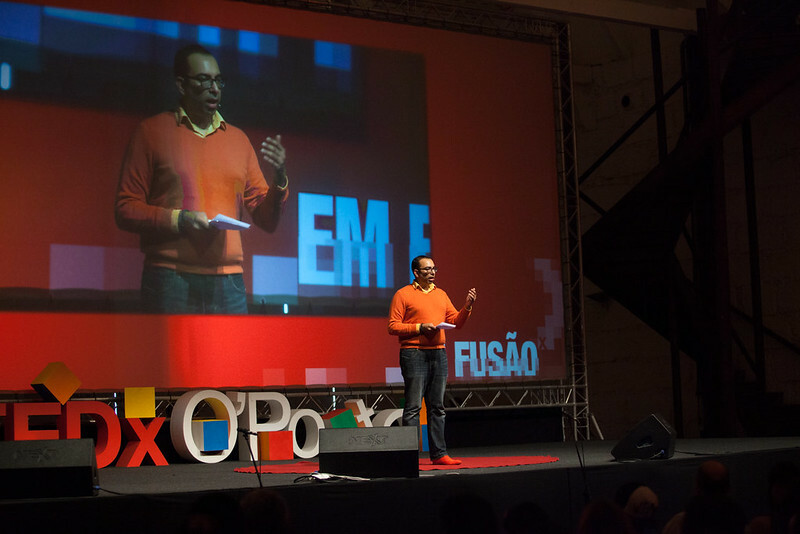 It's an honour and a privilege to have been invited to give the talk at TEDx O'Porto in Portugal. I shared my ideas on Citizen Science, and how health data could be used to improve the health of everyone on the planet. Well, TED does encourage speakers to think BIG! So, how did I get to this point, when this time 12 months ago, I was an employee for one of the largest pharmaceutical companies in the world, GlaxoSmithKline? The road began when I attended Silicon Valley comes to the UK on Friday 18th November 2011 at Cambridge University (This blog post is published exactly 18 months from that very day). I went along out of curiosity having never visited Silicon Valley before. The entire day was filled with talks by leaders from Silicon Valley. People such as Reid Hoffman, Megan Smith, Julie Hanna, DJ Patil, Nancy Lublin and Andrew McLaughlin. They were challenging people in the UK (particularly students) to become more entrepreneurial and to take risks. They shared their stories in each talk, and for me, the biggest take home message from the day was 'Don't be afraid to fail'. It was the complete opposite of working in the pharmaceutical industry, where the culture is much more risk averse than other sectors. I had the chance to meet with many of the speakers, and when I shared my dream of making an impact on global health from patient data, each of them encouraged me to follow my dreams. 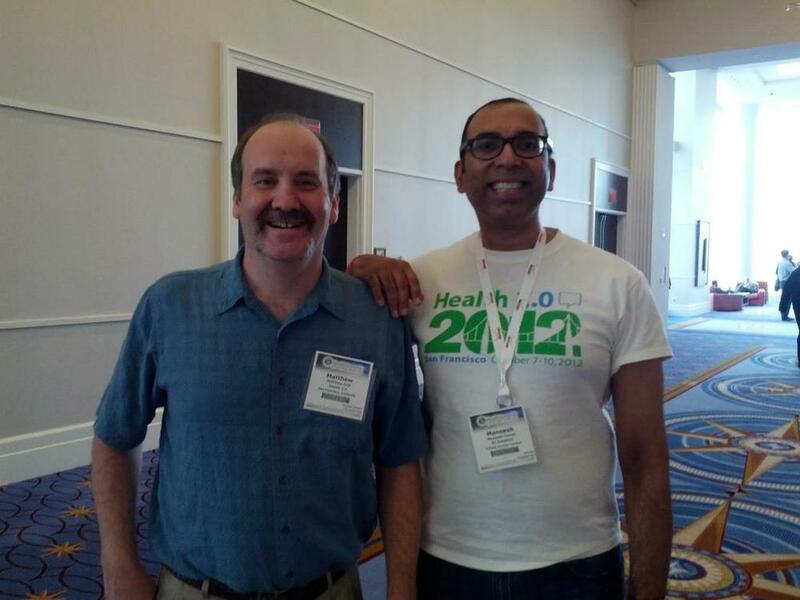 Andrew McLaughlin was the one person who had the most influence on my thinking on patient data, and it was that 10 minute conversation which was my tipping point. When I returned to work, I desired more freedom to pursue my own ideas. However, that mindset clashes with the tasks one is given when working for a large and complex organisation. I realised over the next month that the freedom I desired would only arrive once I was working for myself. I made the decision and resigned. I worked on amazing projects at GSK with some very intelligent people that impacted patients around the world, but I craved complete autonomy. Not everyone can quit their job, but my circumstances allowed me to do that. If I need to live 'lean' for a while, I don't have a problem making sacrifices. I’ve quit a job before. Back in late 1999, I left DunnHumby, to see if I could survive by day trading on the UK stock market. It was the height of the dot-com boom. I managed to make significantly more than my previous salary for the next 6 months. However, two things led me to go back into full time employment. Social isolation and the crash of early 2000. I was making my profit for the day by lunchtime, but when I contacted my friends, they were all busy working. I felt socially isolated, as I’ve always worked in collaborative environments. On top of that, I got caught in the bubble of the tech boom, and believed the stock market would keep rising, even after the crash had begun. I had made enough profit over the 6 months to buy a Ferrari, but I lost 95% of that profit in the months after the crash, as prices collapsed and never recovered. So back to early 2012, working my notice period at GSK. People asked me, what are you going to do next? What’s your plan? I didn’t have a plan, all I knew was I wanted to create the space in my life for something new to come in. I gave myself a year. I also wasn’t attached to the outcome of my decision. If I succeeded, great. If I failed, I could always find a work again, either permanent or contract. Given the economic climate in the UK, everyone thought I was insane for walking towards the unknown. I was very curious to see what was happening in healthcare, so I jumped on a plane to Delhi, India for a weekend. It was the first Health 2.0 India conference. I’d never heard of Health 2.0 before. It was enlightening. The energy was superb, there was a hackathon going on simultaneously in the room next door. It blew all my perceptions of startups in India away (and I've been to India over 20 times). I asked Matthew Holt, one of the founders, what they were doing in London. He said zilch but suggested I could start the Health 2.0 London Chapter. I did start it, and had 10 people sitting in a pub in London at my first event in April 2012! The next month, I decided to head to Silicon Valley to expose myself to the culture I’d heard about a few months back. I registered for an interesting conference, Wisdom 2.0. It was a spiritual earthquake for me. It was the only group of people that congratulated me on quitting my job to follow my own dreams. 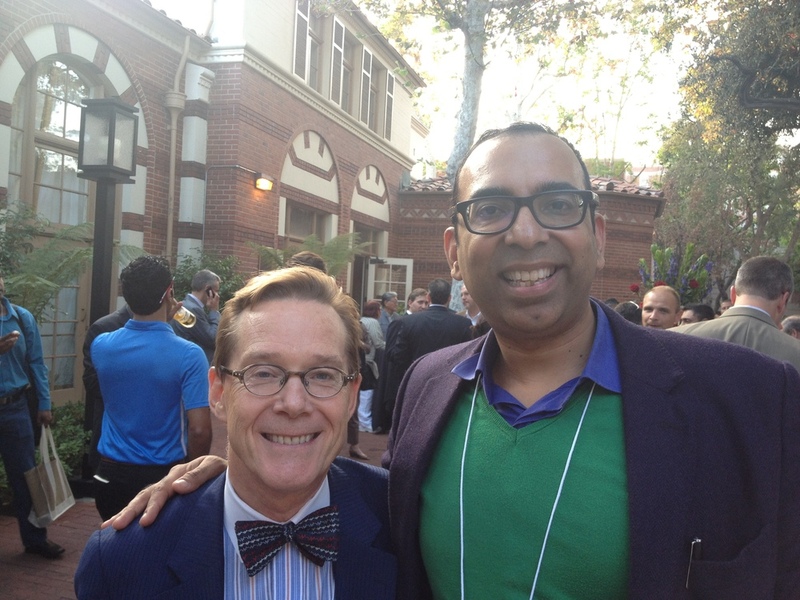 In fact, I met many others, who shared their own stories of leaving corporate life to change the world! Part of the conference was in the Googleplex in Mountainview. It’s a cliché, but those 4 days changed my life. It was Trevor Colemen of Interaxon who was there, and inspired me to start using Twitter by taking the time to demonstrate how it works. My feedback at the conference was even featured in a 2 minute video. Whilst I was there, a number of people heard my story and told me I must attend the TEDActive conference. I’d never imagined I would attend a TED conference. The clincher for me was reading this blog by JD Schramm. I applied at the last minute, and on the 2nd day of Wisdom 2.0, my application for TEDActive was approved! If I felt like a 5 year old seeing the world with new eyes at Wisdom 2.0, then I felt like a newborn baby at TEDActive. I was shocked and left in awe at this convergence of minds, and the desire to help each other. People there encouraged me to think BIG, so I left the conference knowing my life purpose. I wanted to start a data driven revolution in global health. I shall always remember sitting on a bean bag with 600 people, watching the closing statement from Chris Anderson, who simply said “Be Curious”. The final night at TEDActive was a party at the new venue where the 2013 conference would be held. Live music courtesy of Las Cafeteras, and I celebrated with my new friends. Ironically, a picture of the party, which included me, made it to the TED website! So then I returned back to work in London, the contrast between the world I’d been in, with the world I just caught a glimpse of was staggering. There was no turning back on my path. I still had a few months to work during my notice period. During that time, I was even more curious. So I attended, The Next Web conference and the Global Health and Innovation conference. The more events I went to, the more I expanded my mind. The more people I met, the more my thinking was challenged, and I experienced significant personal growth. Fast forward to June 2012, when I’d left GSK, and was in the outside world, with just my dream! The first few months were both terrifying and exciting. My brain used to hurt every day, as it was a new experience to think for myself, every moment of every day. I still didn’t have a plan or a specific idea, but I had the space I desired. I didn’t have much space for long, I was approached by someone who heard I had left, and asked if I could do some work for them. I’ve spent 18 years analyzing data, so had technical skills that are were in demand. I then had to register a company, get an accountant, finalise a contract, determine how much to charge for my skills. So, MJ Analytics Ltd was born. Shortly after that I was invited to give a talk at an innovation retreat for a multinational corporation. They paid me to share the story of my career, my journey that led to me quitting GSK, and to inspire those employees who wish to innovate within the framework of a large complex organization. In my spare time, I was being bolder and braver with the Health 2.0 London Chapter meetings. Knowing full well from my experience in GSK that there was a need to foster a culture of collaboration within the UK health innovation ecosystem, I reached out to different organisations. The turning point was September 2012, when Health 2.0 London hosted an event “How can mHealth transform healthcare?”. Google Campus in London gave us a room at no charge, a health startup sponsored the drinks. We had speakers from NHS Choices, Golden Gekko, and 3 UK health startups. One startup, Sleepio is now in the NHS Apps Library and one of the 10 apps partnered with Jawbone UP, and another, uMotif is running a trial with their app for Parkinson's patients. 12 months after our first event, we now have a group of 370+ members, including members of the pharmaceutical industry, NHS Choices, MHRA, UCL, Imperial College London, London Business School, doctors, designers, startups and more! We’ve run events on clinical trials, care homes, privacy and security of patient data, and social media. So, I continued to stay curious, and to develop my understanding of how technology could be used in global health. I attended Health 2.0 San Francisco, Strata Rx, Body Computing 2012, Open Science Summit, Singularity Summit, Health 2.0 Europe, mHealth Summit, Health 2.0 Middle East, FutureMed, NHS Expo and TEDx Nijmegen. FutureMed was a 6 day program on exponential technologies in healthcare and medicine. 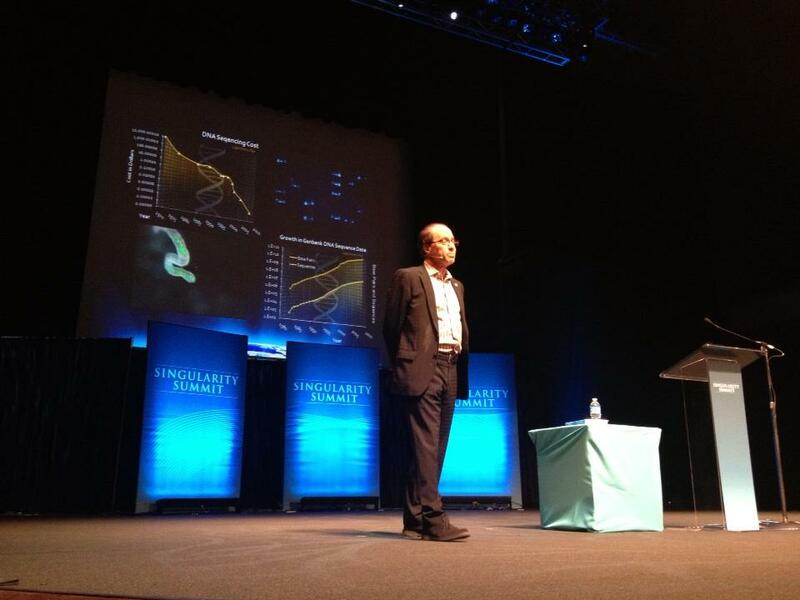 It was run by Singularity University, and held at NASA Ames Research Center in Silicon Valley. I was one of only two people from the UK there. Being taught by astronauts who had been on the space shuttle. A glimpse into the future technologies being developed. 3D printing of human organs, algorithms that can help a doctor make an accurate diagnosis, and so much more. Discussions with students from around the world on the future of healthcare, which often lasted till the early hours of the morning. Now I know why it’s nickname is ‘Sleepless University’. During this time, my ideas on patient data were being influenced by so many people that I met at these events and at my Health 2.0 London events. My vision became clearer and clearer as time went by, and I understood what I wanted to achieve within my lifetime. I was invited to share my vision at the Real World Data Summit in March 2013. Attendees were from the pharmaceutical industry. Further validation that I must not be afraid to think big, and think what’s needed for healthcare in the 21st century. So, you are wondering how I got invited to give a TEDx talk? When I attended TEDActive, each delegate fills in their profile on the TED website. Before you attend the conference, they run an algorithm which determined which of the 600 delegates are your top 10 to meet, based upon your profile matching with their profile. The conference had finished and still hadn’t met my no.1 match! A group of TEDActivators went to Palm Springs Aerial Tramway. When I was there, I met Norberto Amaral. He was my no.1 match, and it turned out I was his no.1 match! We didn’t have much time to talk, but connected on Facebook once we got home. 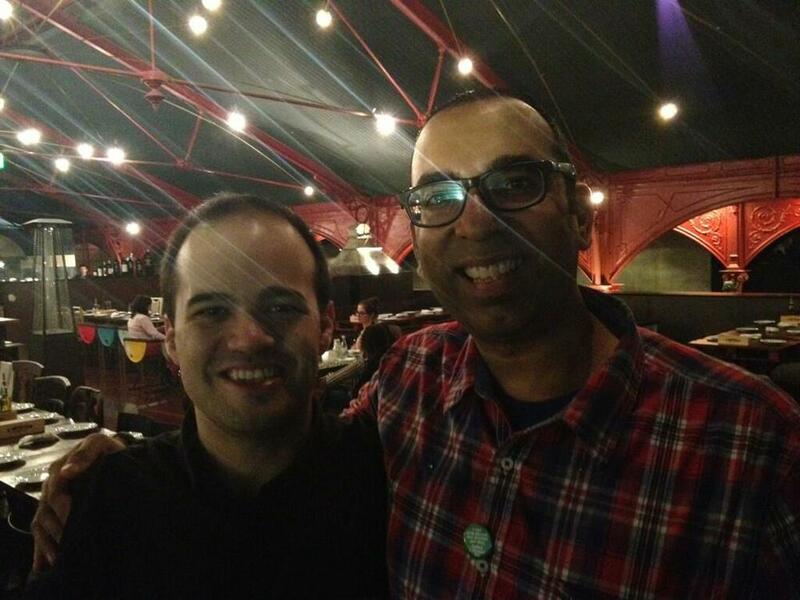 Norberto is the organiser of TEDx O’Porto, and one night, we were chatting on Facebook, and I was giving him an update on what I was trying to do with my ideas on using health data. He then invited me to give a talk at the next TEDx O’Porto event. I accepted immediately! It’s an honour and a privilege to have this opportunity. I look back at the events of the last 18 months, and everything that has occurred is beyond my wildest dreams. I’m now a big fan of the Silicon Valley mindset, realising that adopting an attitude of ‘’not being afraid of failure” has taken me to heights I never imagined possible. However, I also acknowledge that the critical success factor for me has been the constant encouragement and support from friends, family and inspiring people that I’ve met around the world at these conferences. I don’t know if I will succeed in my mission to find ways of using data to improve the health of everyone on the planet, but I’m determined to try my best. I hope my first blog post has inspired you to follow your own dreams in life. It would be great to hear your thoughts and experiences.